All weather premium rubber hose 5/8" x 100'.Anti kink heavy duty spring guard. Abrasion resistant cover. Nickel plated brass fitting. UV and ozone protection. Dont let your expensive planting beds get burned in Summers heat. 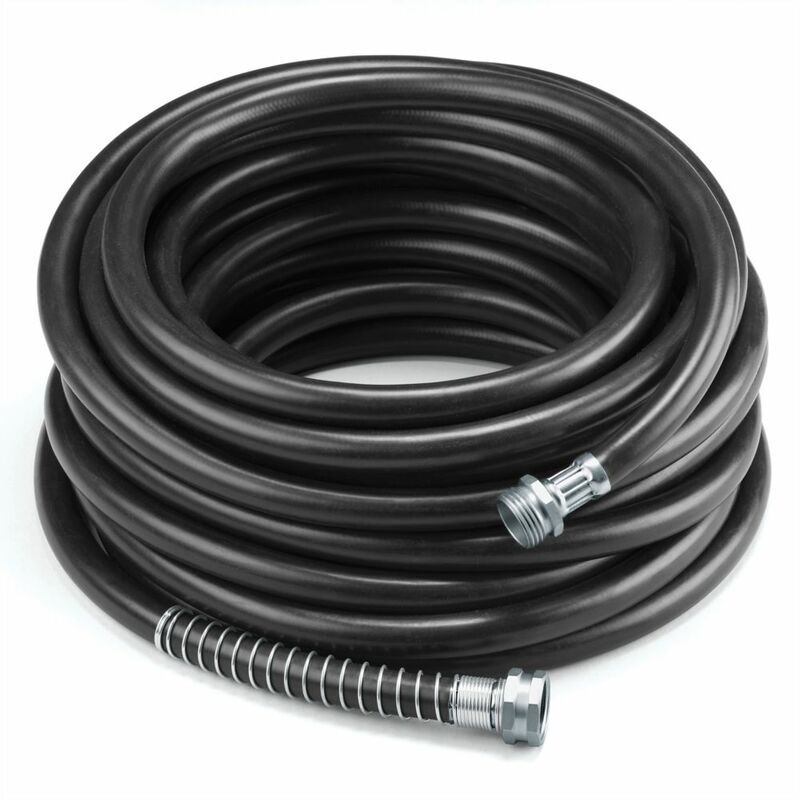 This durable black rubber hose delivers even soaking water to your plants where its needed most at the roots while reducing soil runoff and water lost to evaporation. The easy to use water timer helps you lower your water bill and save the environment. 5/8" x 100' Premium Rubber Garden Hose - Black All weather premium rubber hose 5/8" x 100'.Anti kink heavy duty spring guard. Abrasion resistant cover. Nickel plated brass fitting. UV and ozone protection. 5/8" x 100' Premium Rubber Garden Hose - Black is rated 5.0 out of 5 by 2. Rated 5 out of 5 by Birdie from Nice heavy hose I bought this at season end and waiting to try it out in the spring, but impressed with the sturdiness and looking forward to years of use. Rated 5 out of 5 by Judes from Great rubber hose! Bought this several weeks ago. Great hose! Very happy. A little pricey - but great quality, very light weight.